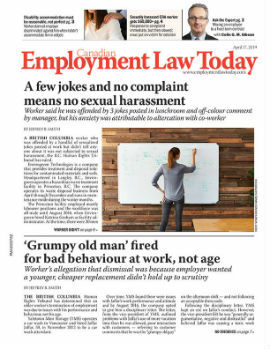 Employers in all jurisdictions across Canada have a legal obligation to protect their employees from discrimination against various grounds under human rights legislation. Disability is one of those protected grounds. But discrimination is not limited to whether or not an employee actually has a disability. Courts have found that the act of discrimination is something that can happen regardless of the circumstances. An employer may think it’s acting proactively when it takes action to deal with an employee it thinks has a disability, but if that employee doesn’t actually have one, look out. Employment lawyer Ashley Brown discusses the difference between perception and reality when it comes to accommodation and discrimination.